What is the most important factor to you in selecting a savings account? 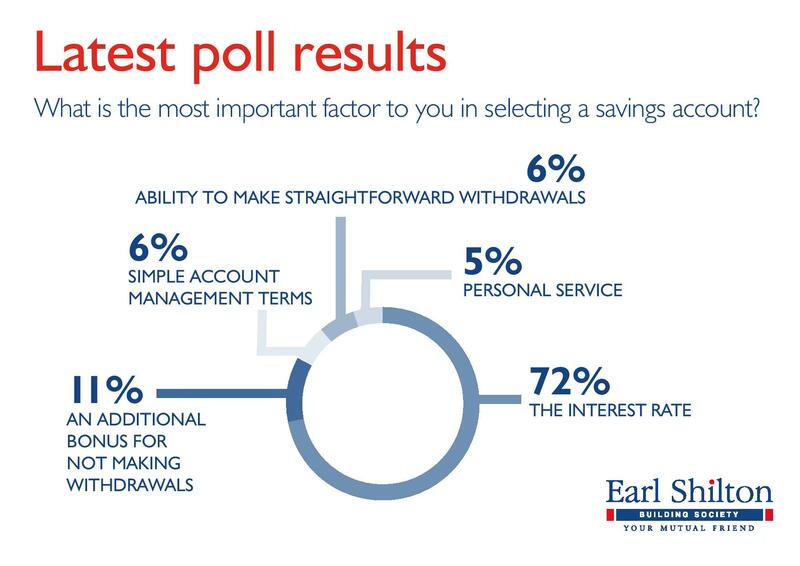 What do you consider to be the most important factor when choosing a savings account? This was the question that we asked people in our monthly poll during January. The interest rate was, by far, viewed as the most crucial aspect of a savings account, with 72% of voters selecting this option. 11% of those who took part agreed that receiving an additional bonus as a reward for not making withdrawals was the most important factor. Opinion was split among 12% of voters, with 6% considering the ability to make straightforward withdrawals to be their number one priority, while a further 6% wanted simple account management terms. The remaining 5% of participants said that they would appreciate getting a service that’s personally tailored to their needs most of all.